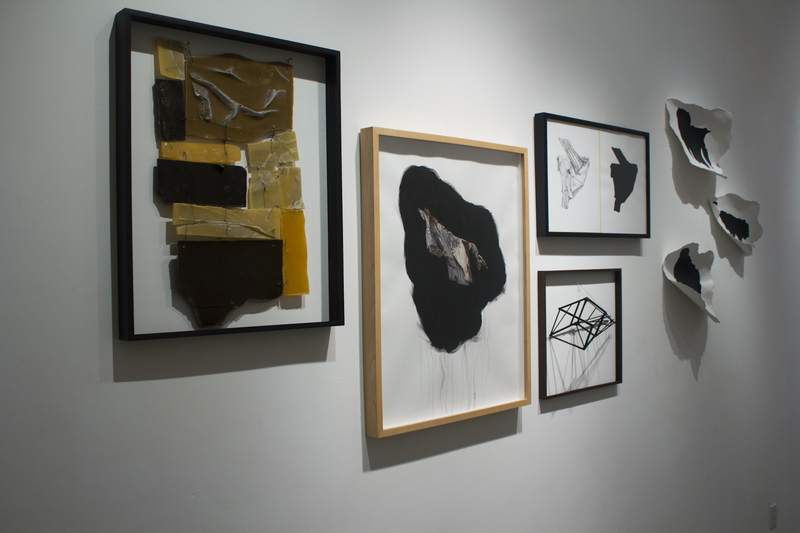 The Wall Gallery located in Oakland California provided a central venue to show work in the heart of the burgeoning arts district of uptown. 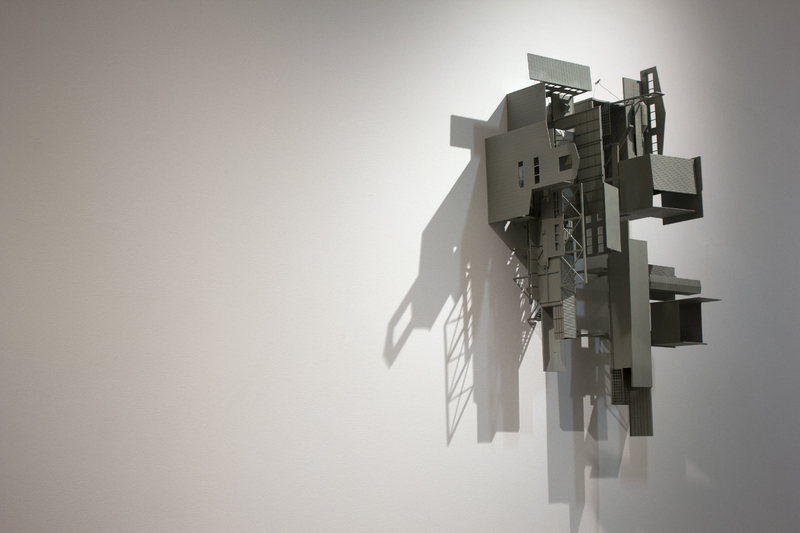 I participated in a series of exhibitions over the course of 3 years, each a unique set of new works including wall mounted sculptures, 2d panels and photography. 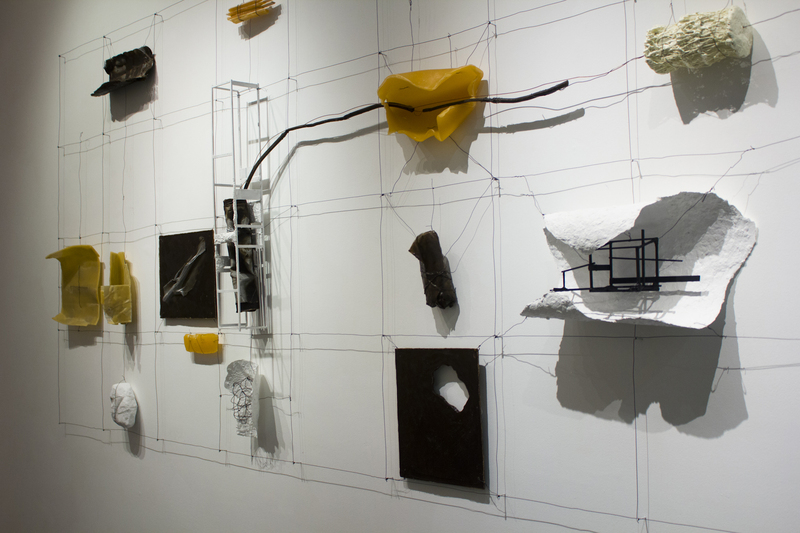 A re-configuration of work from New Terrain and Locations with some pieces adapted to a wall mounted presentation. 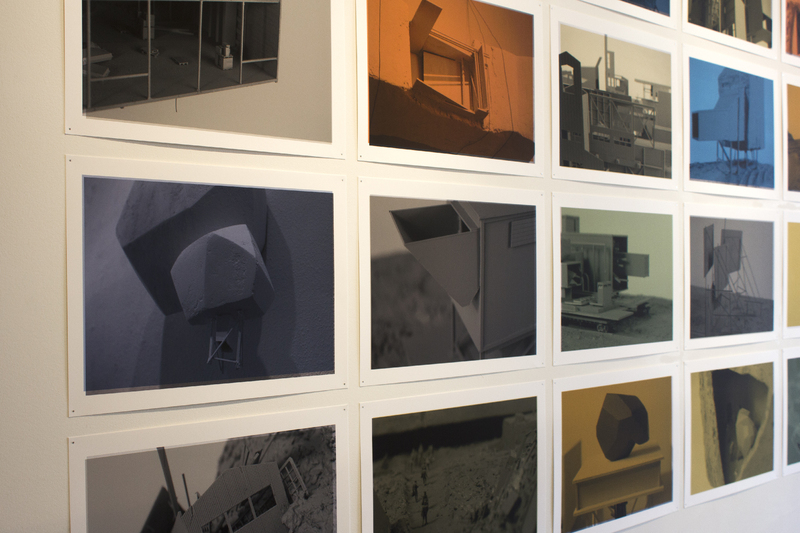 In addition, 20 inkjet prints from photography of the work were mounted in a grid. 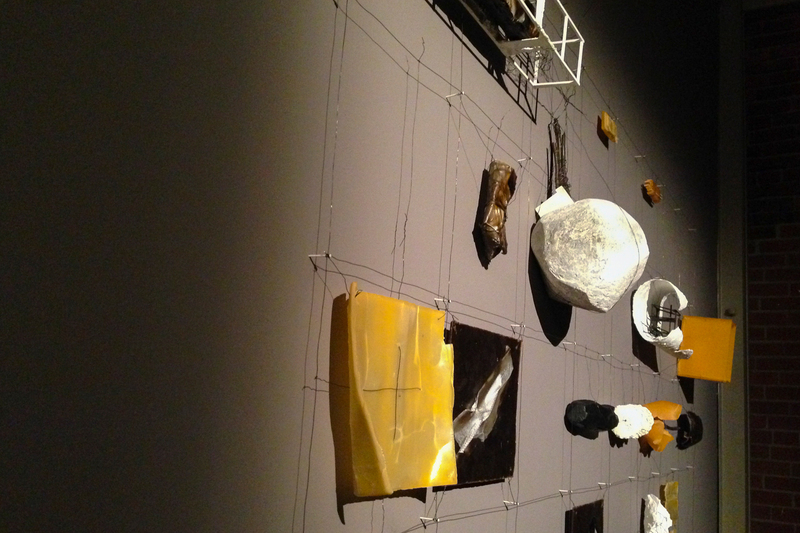 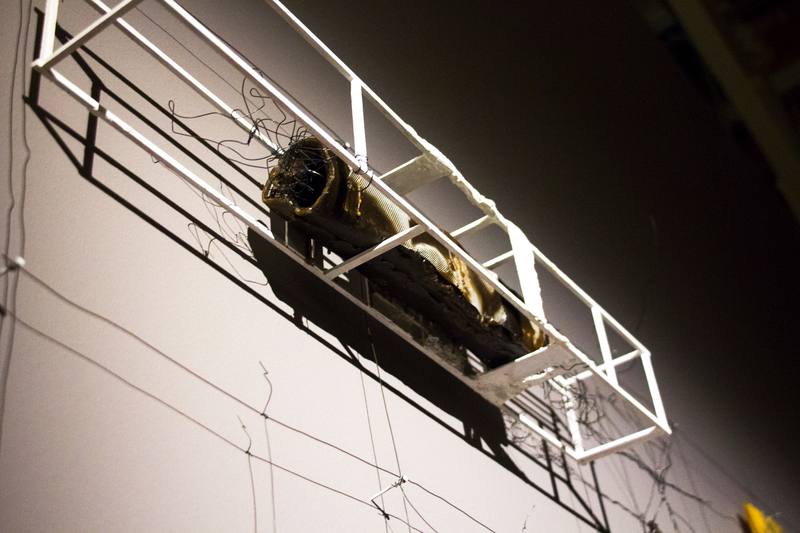 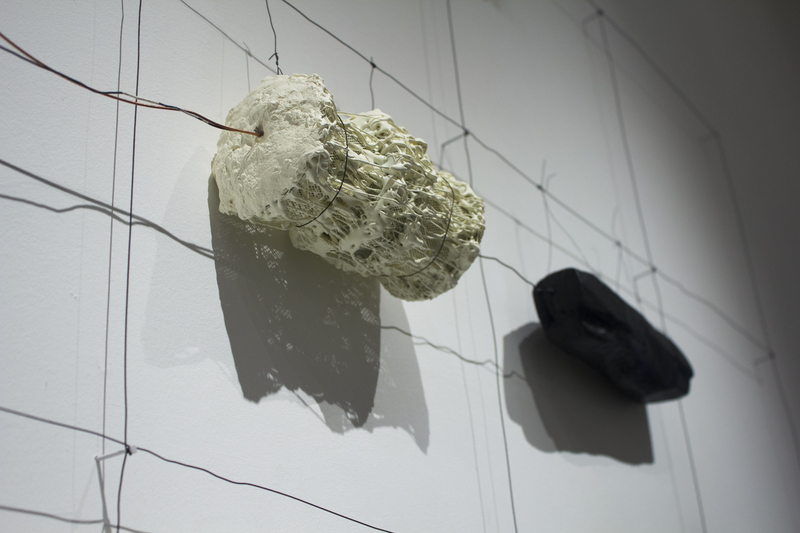 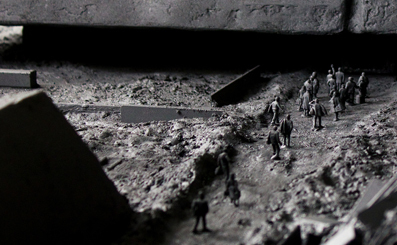 April 2012: Mixed media, polystyrene, sculptamold, wire and various materials, inkjet prints. 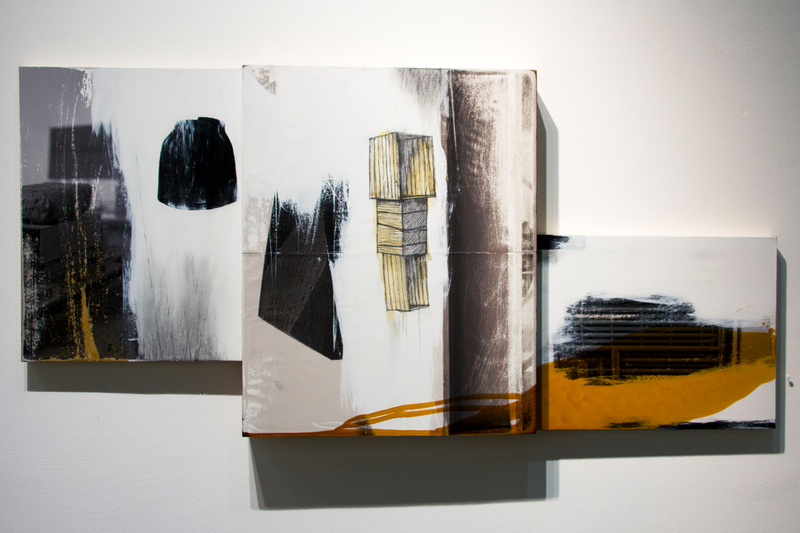 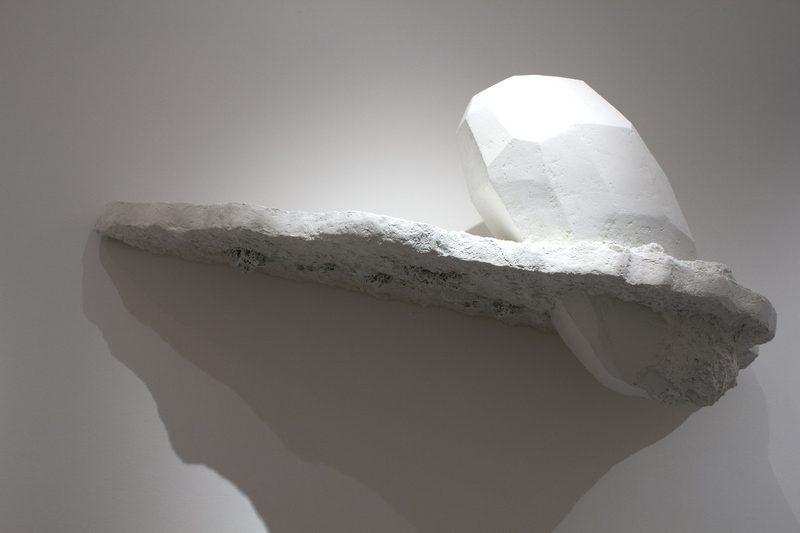 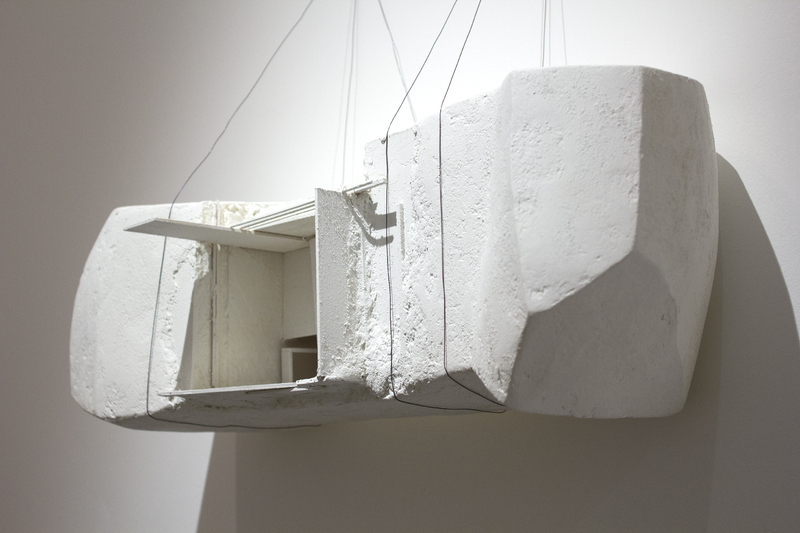 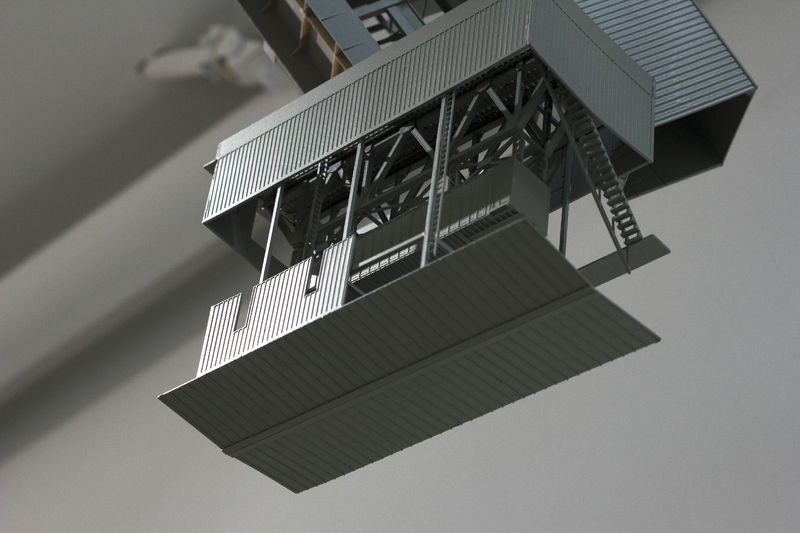 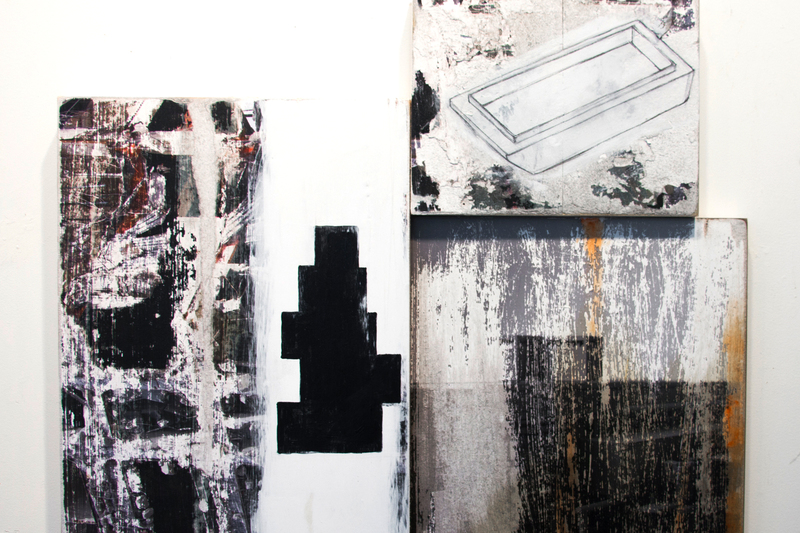 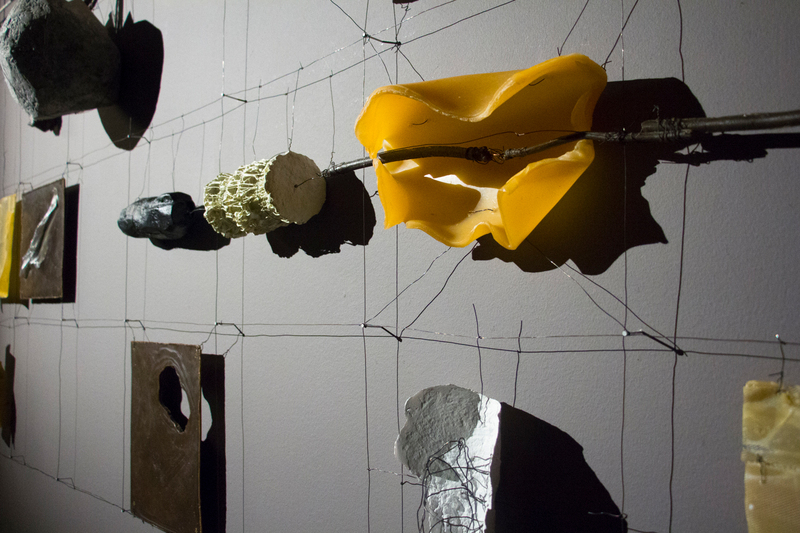 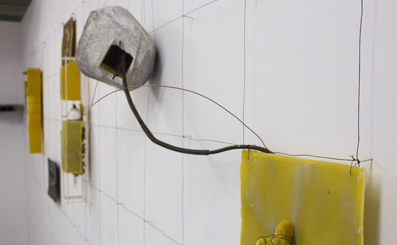 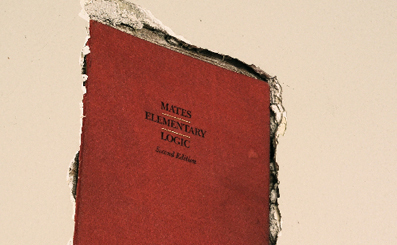 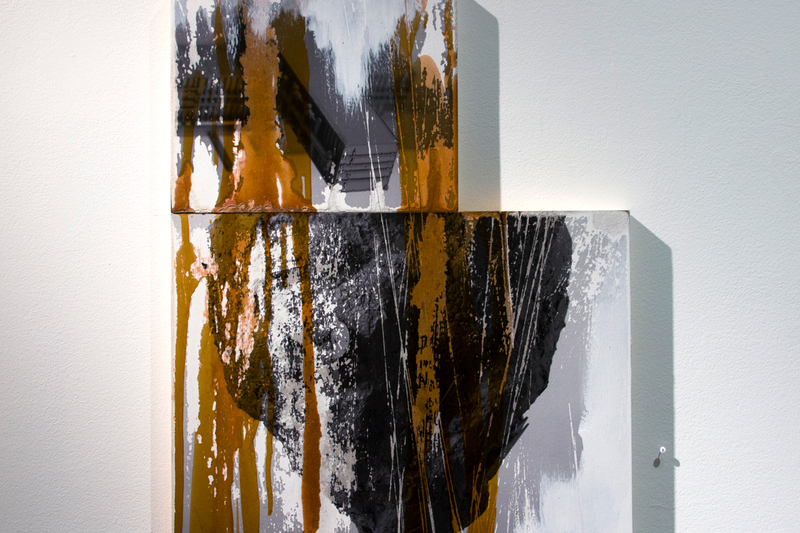 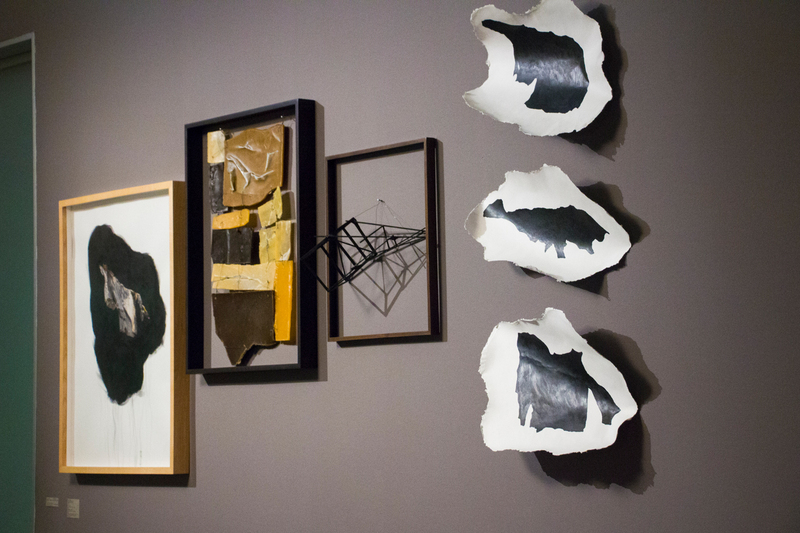 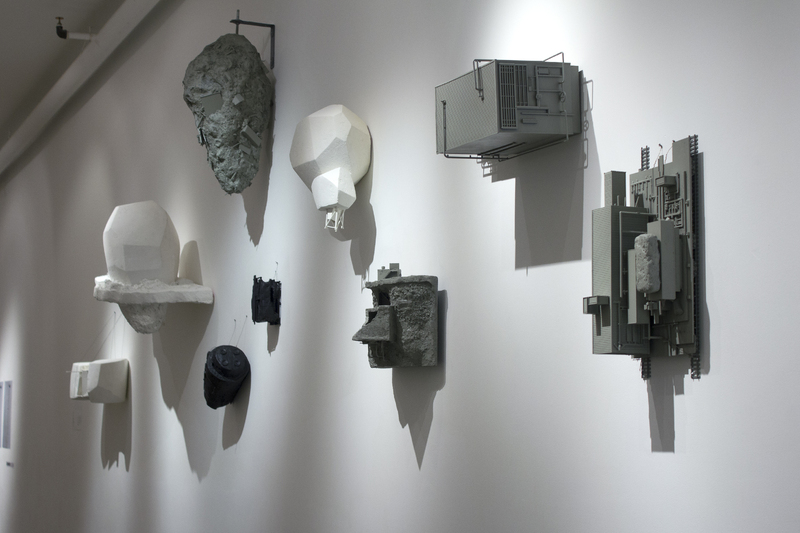 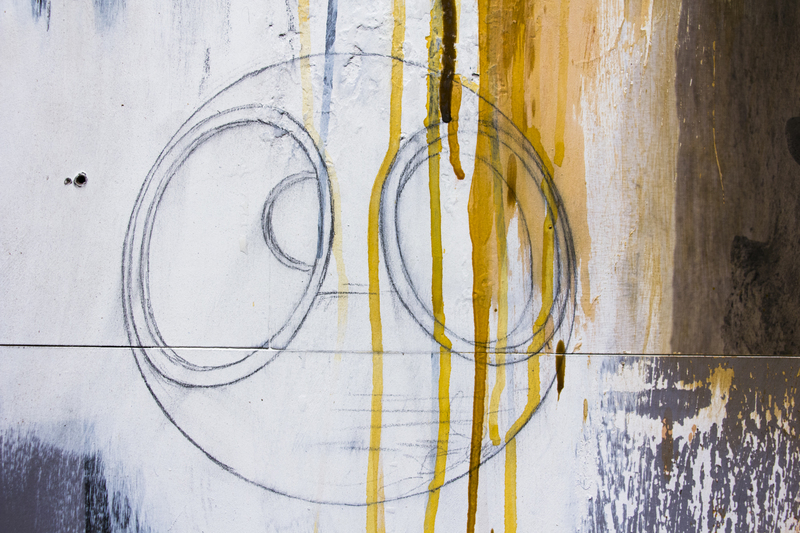 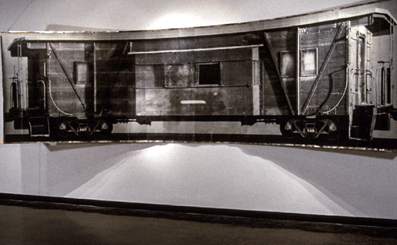 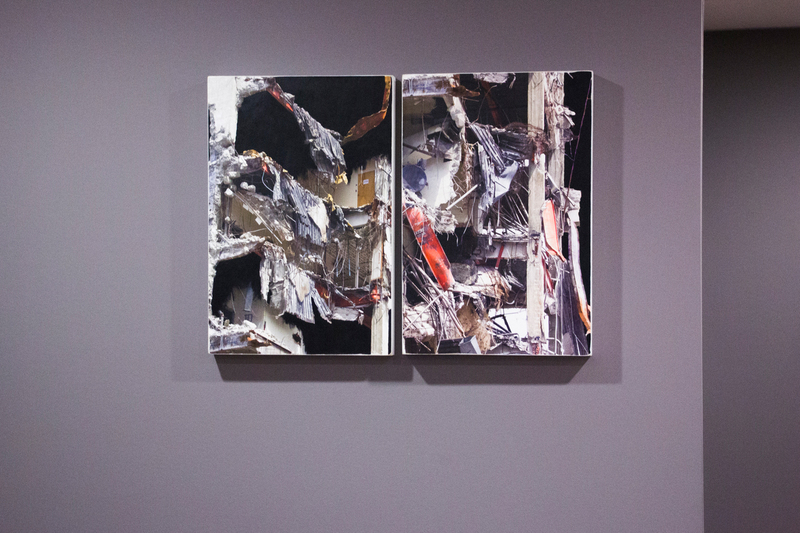 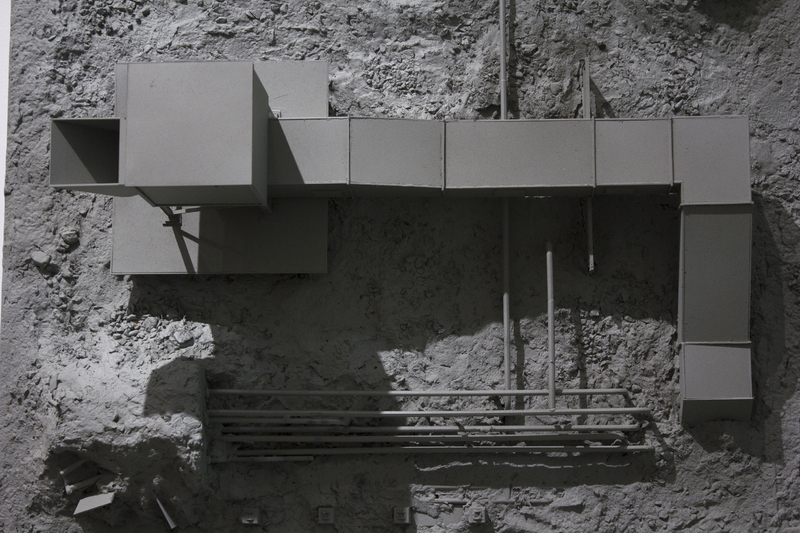 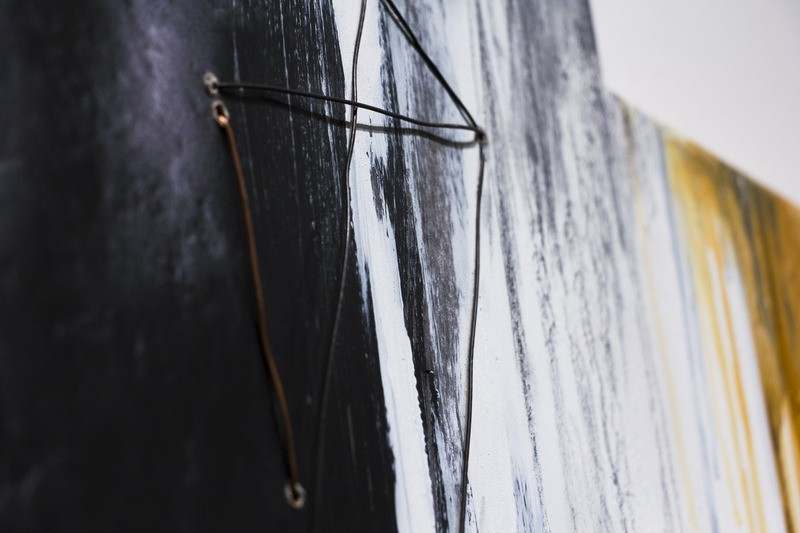 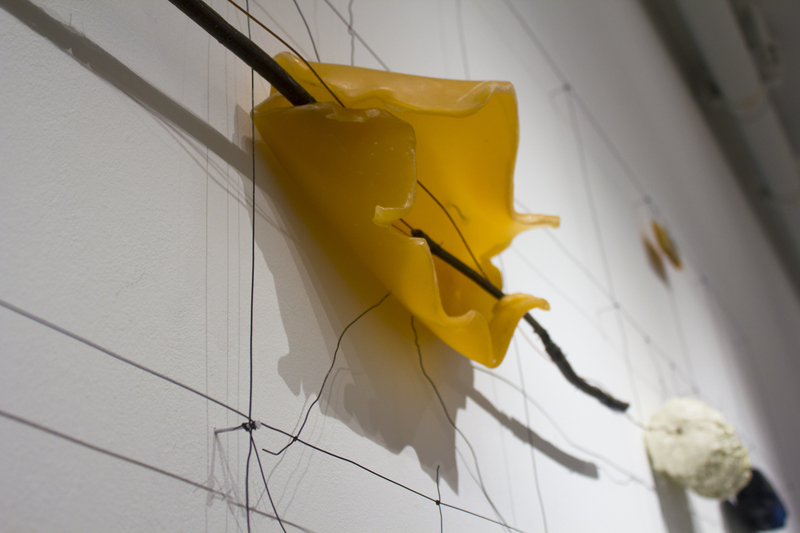 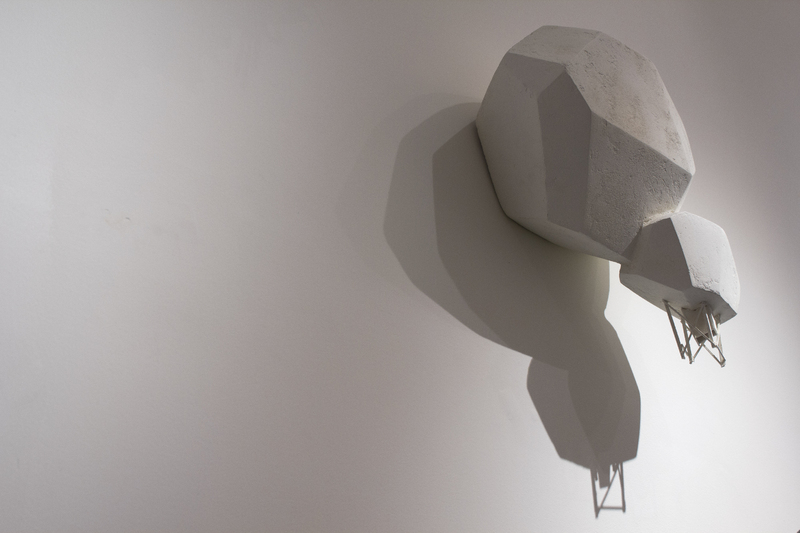 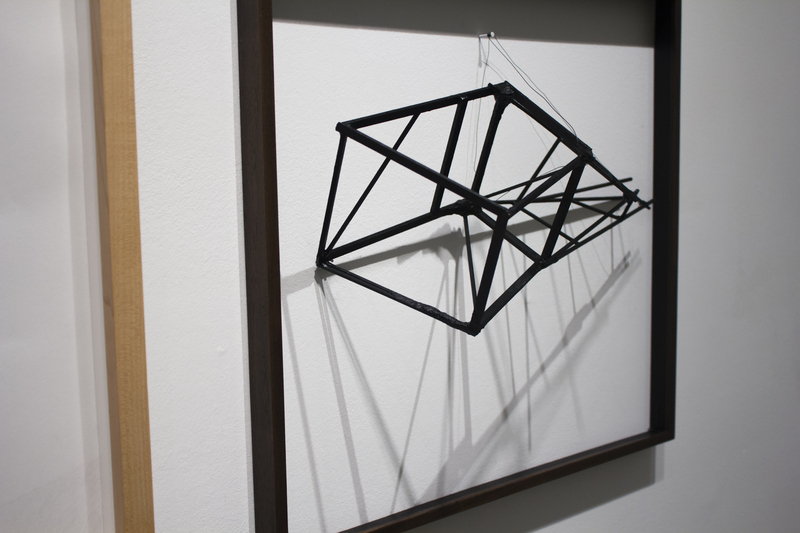 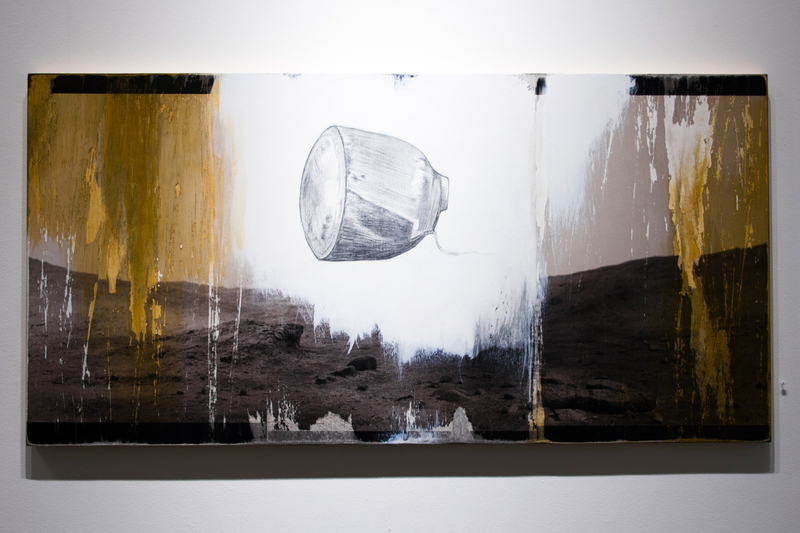 Stemming from the Banff residency this work reflects material / sculptural studies. 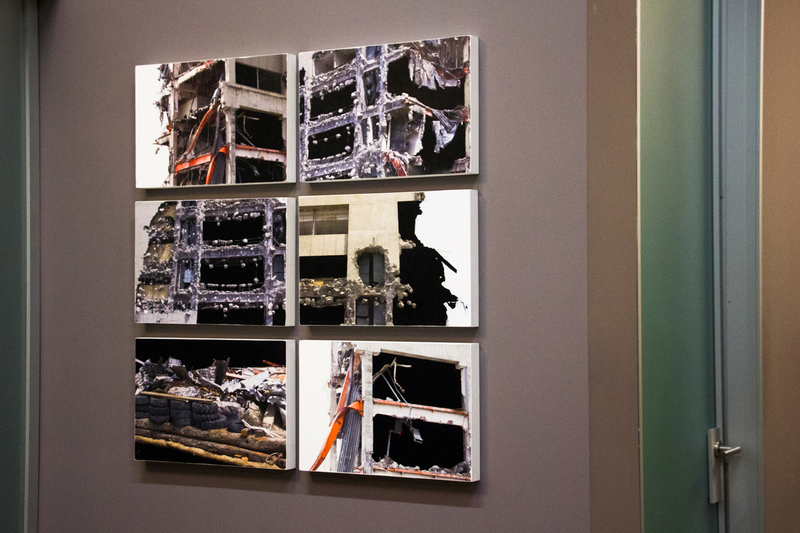 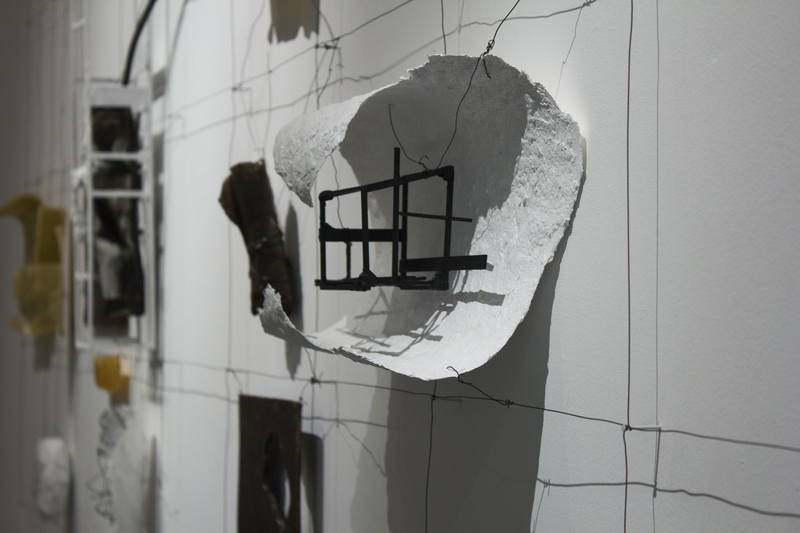 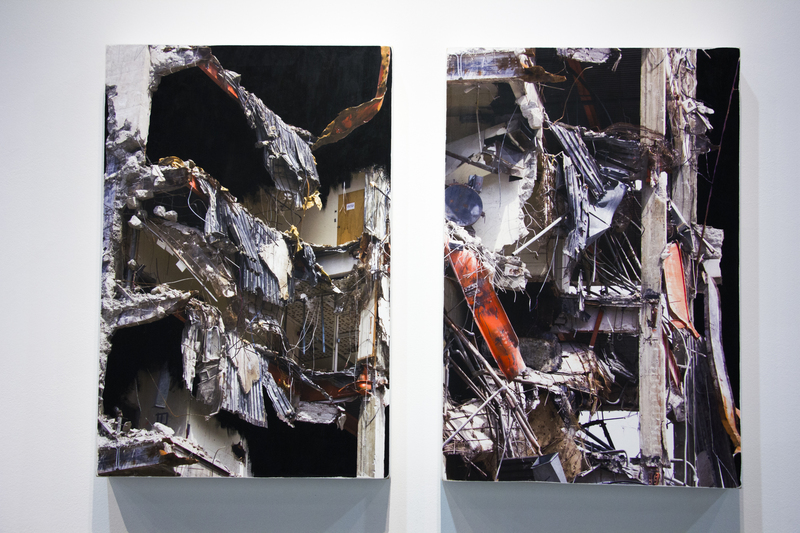 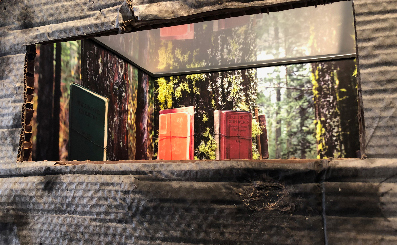 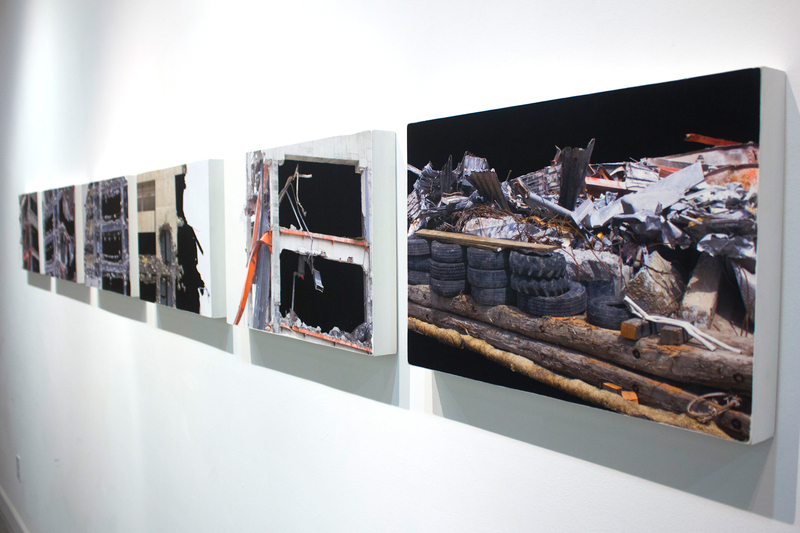 This body of work was in 3 sections, photo-panels of demolition, wire grid supporting small sculptures of mixed media and a group of varied mixed media pieces 2 and 3d in nature. 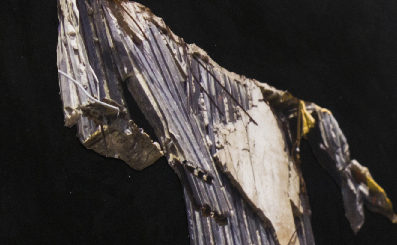 March 2014: Mixed media, sculptamold, wire, wax, wood and various materials, inkjet prints, gesso and acrylic on wood. 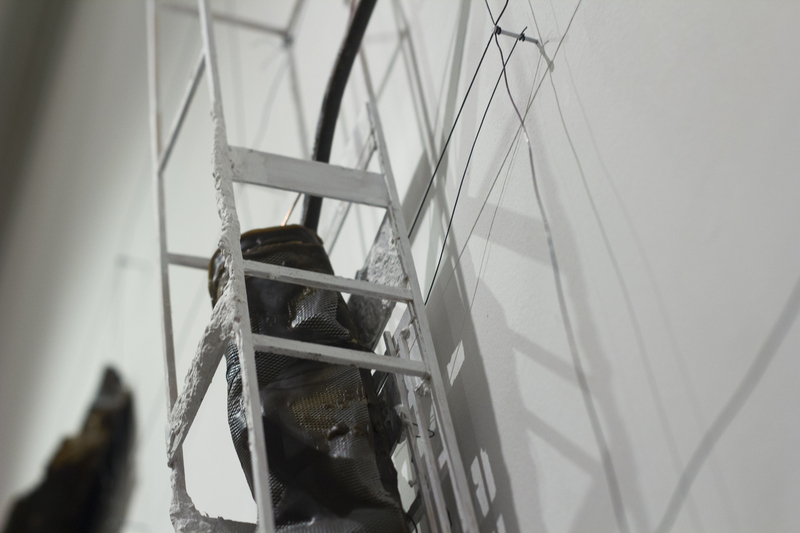 As part of a group show with 2 other artists at Ntropic Studios in San Francisco, Removal was reconfigured throughout the space. 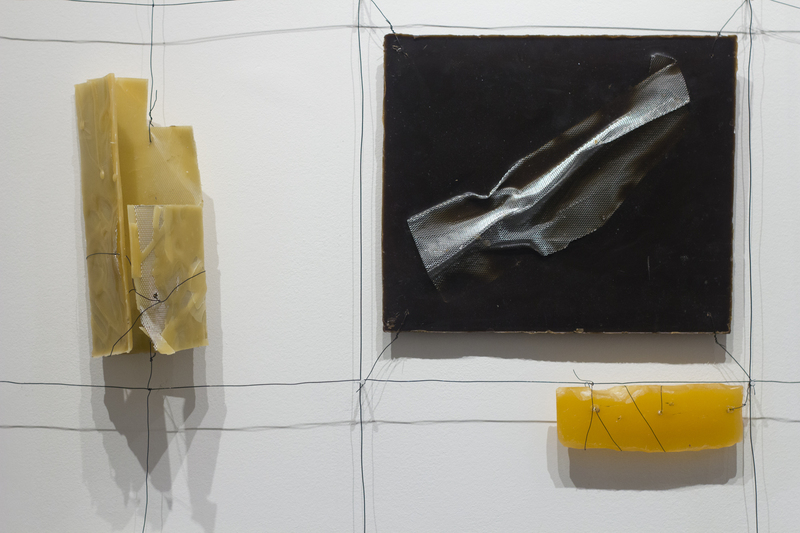 Dec. 2014-January 2015: Mixed media, sculptamold, wire, wax, wood and various materials, inkjet prints, gesso and acrylic on wood. 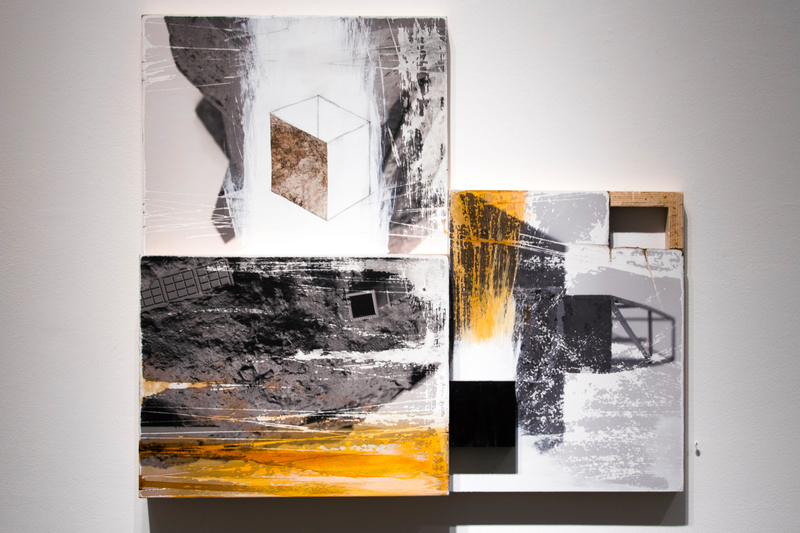 9 panel mash-ups recyling previous images mounted on wood panels combining drawing and mixed media. 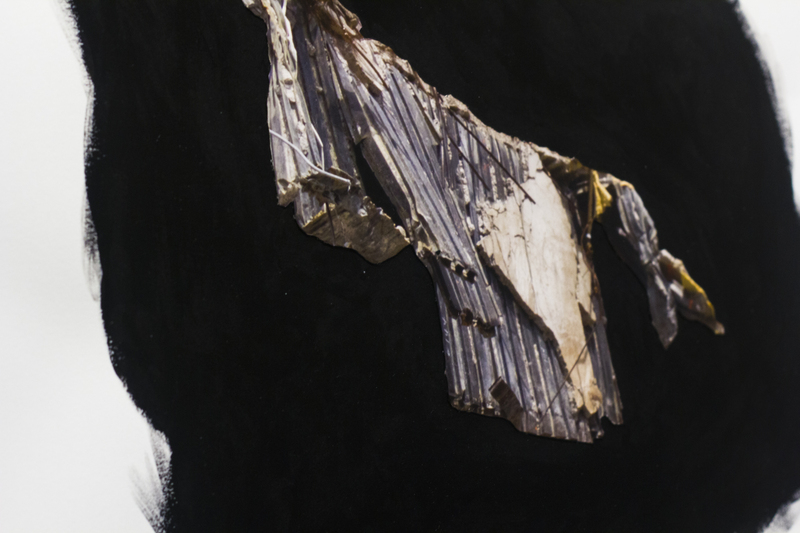 October 2015: Mixed media, archival inkjet prints, acrylic, goauche, graphite, gesso, wire and distressing.